Ceci ne'est pas un habitat: In January, Kunsthalle3000 found its place in front of a window of a habitat store at Place de la République in Paris. 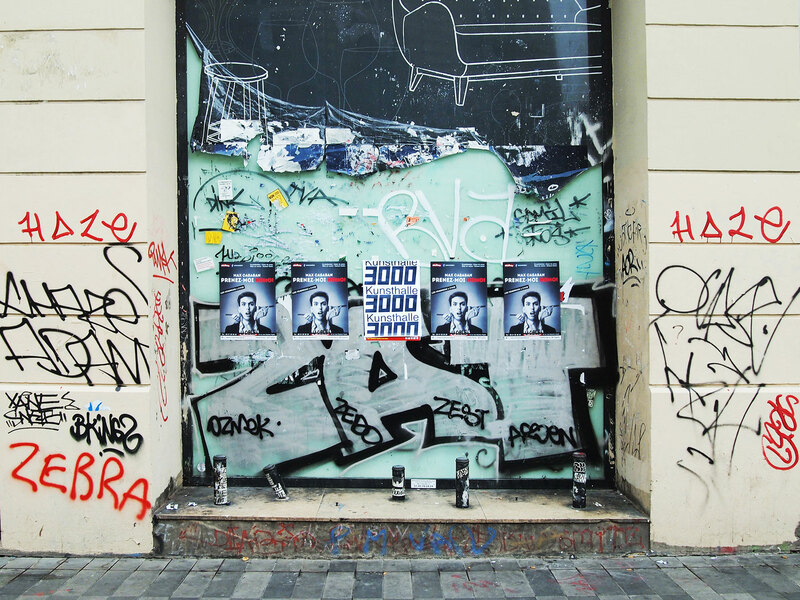 By affixing graffiti and posters, the window has lost its original function of exposing. Instead, a new “wall” has emerged that turned the recess of the window into a niche for homeless people. 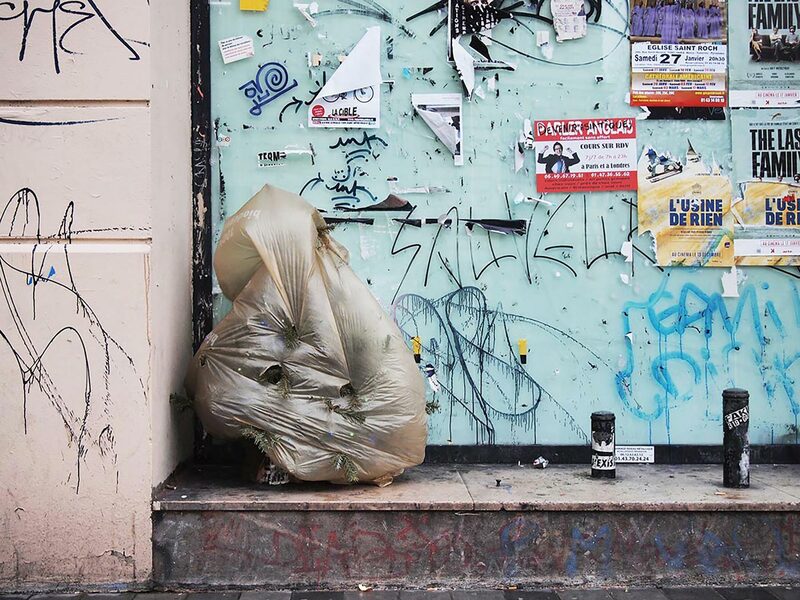 As a reaction, so-called “Anti-Homeless” elements have been installed. 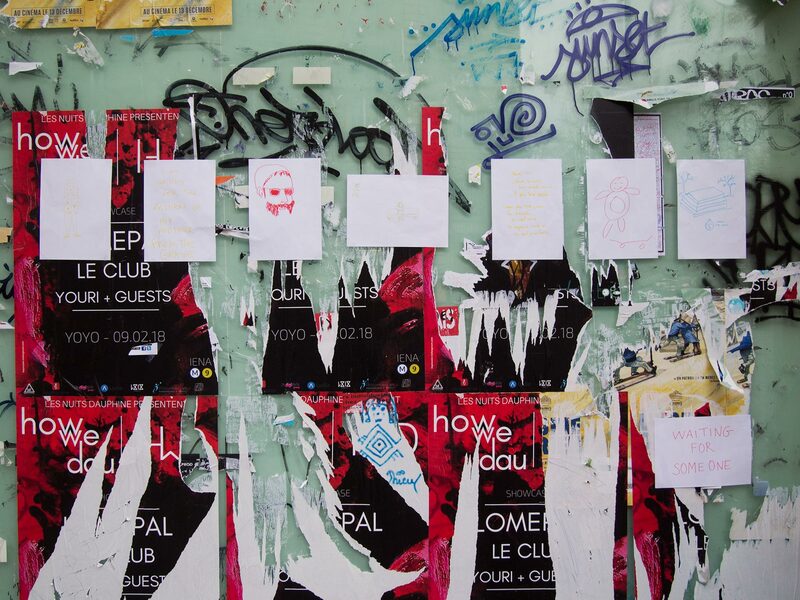 This collision of personal, private and public interests became the scenery for the interventions by 6 local artists. 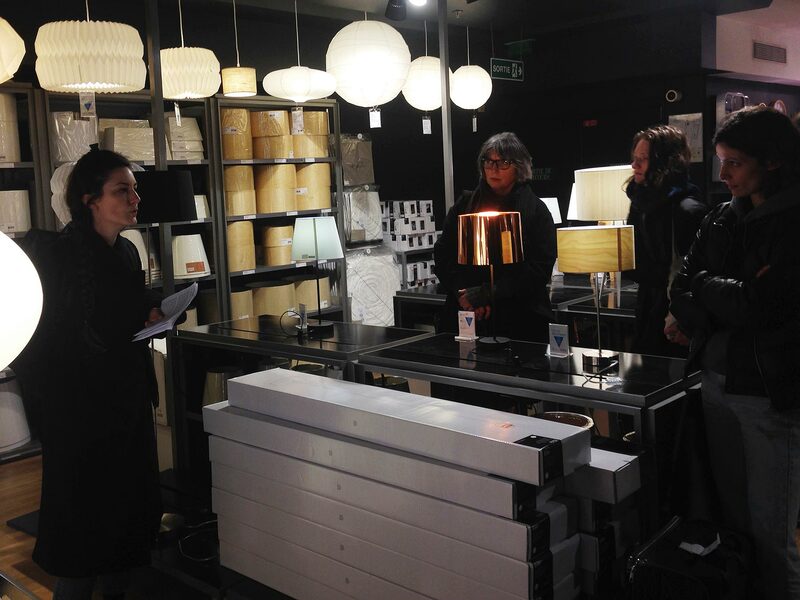 Hélène Deléan took the audience inside the habitat-store. Within the frame of the various sections such as living room, lights, kitchen, etc. she gave a lecture about the meaning of the word habitat out of the various perspectives (nature, science, politics, etc.). The artist Robert Filliou declared January 17th to be the birthday of the Arts. On this day, Filliou said, all shops should be closed and people should celebrate on the streets. 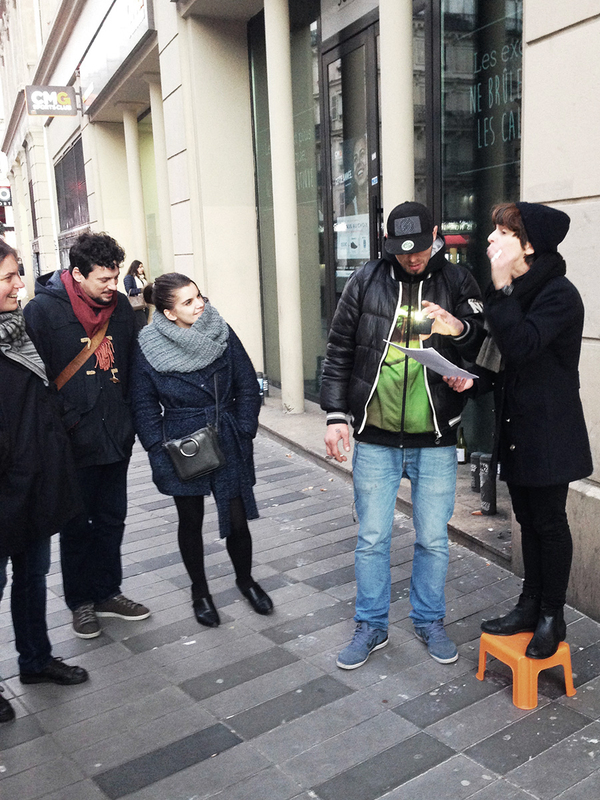 Céline Ahond followed this principle and celebrated the birthday in her own way by installing a movable Speaking Corner in front, beside, inside and behind the habitat-store. At each location she gave a public speech about the specific surroundings and in relation / together with its “inhabitants”. During January people in Paris are allowed to throw their Christmas Trees on the streets – as long as they are in a special trash bag. One of these hidden trees was placed inside Kunsthalle3000 – still laden with a colourful chain of lights that was discreetly flashing through the trash bag. Constructions Collectives is a growing, collaborative publication by the artists/publishers ExposerPublier (Benoit Brient, Léo Coquet, Caroline Sebilleau). 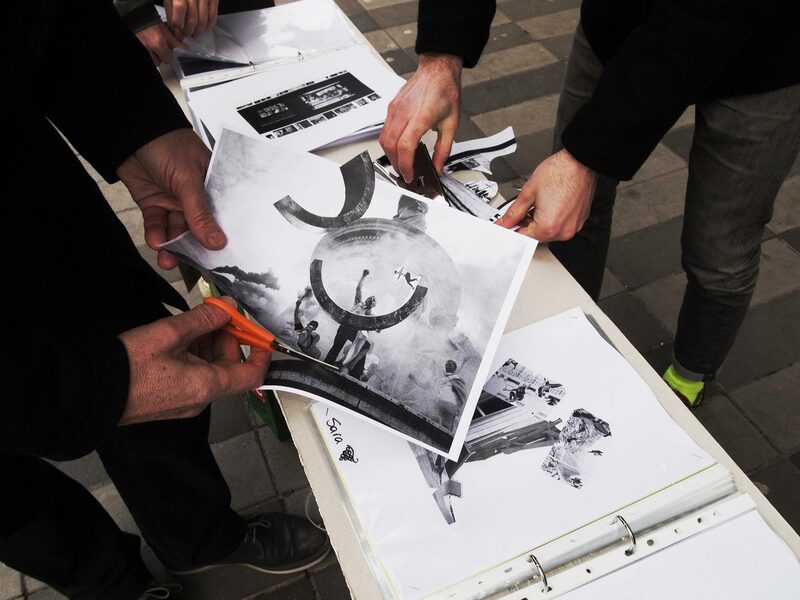 The project is based on an archive of copied press photographs about demonstrations/public space. The audience is invited to arrange and combine these images in a new way and to create their personal manifestation page. The resulting pages are the source for a printed zine that will be published as an outcome of the project. Together with a group of volunteers, Camille Tsvetoukhine asked people who were waiting for someone around Kunsthalle3000 to draw a portrait of the person they are waiting for. A selection of these portraits were 'curated' into an exhibition that was presented at Kunsthalle3000. 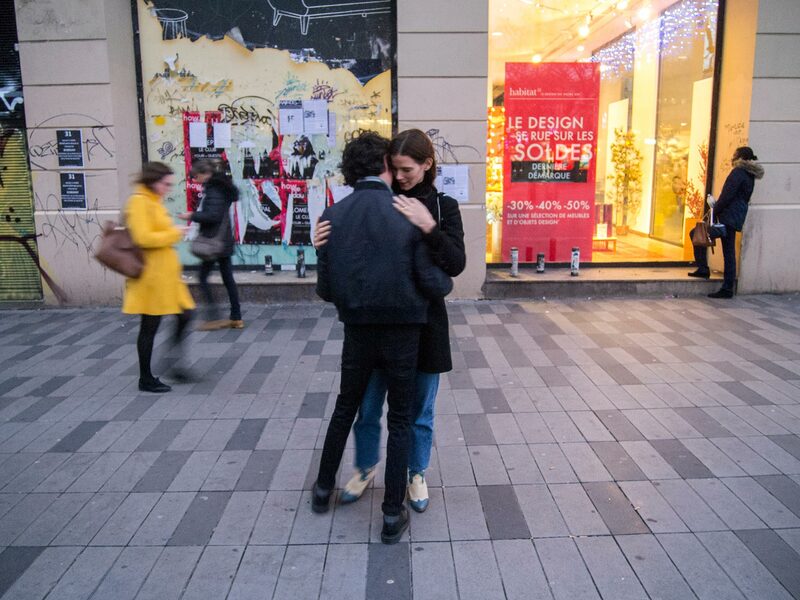 During the sunset (and the rush hour) a couple was slow dancing in front of Kunsthalle3000 to Richard Sanderson's famous song Reality out of the iconic movie La Boum. An embodied manifestation for love and come together on a place where mistrust is dominating currently.